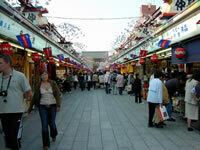 The Asakusa area is famous for the Kaminarimon at Senso-ji and Hanayashiki. The building of the headquarters of Asahi Breweries, Ltd. is also remarkable in that area. There are unique shopping arcades such as Aiba-bashi Dogu-gai in which some stores deal in cookware. 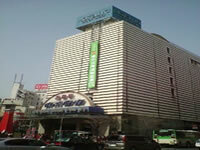 The festival is held in May. The festival held on the last Saturday in July.